This fund supports scholarships for qualified students graduating from Clinton Central High School who will attend any college, university, junior college, seminary or trade school. This fund provides scholarships for Clinton County high school graduates or students in college continuing their education. This fund provides scholarships for Clinton County residents who are enrolled in an accredited college or university, preference will be given to postgraduate degree students seeking Masters or Doctoral degrees. This fund supports the Clinton County Family YMCA. This fund provides support to charitable organizations for worthwhile programs/projects in Clinton County through the Foundation's competitive grants process. This fund supports scholarships to graduate students studying speech pathology. This fund supports the operating budget of the Clinton County Community Foundation. This fund supports the Boys and Girls Club of Clinton County. This fund provides scholarships to qualified students graduating from Clinton Central High School who are accepted into a program leading to a bachelor's degree at Purdue University. This fund provides scholarships for qualified students graduating from Clinton Central High School who are pursuing degrees in nursing, ministry, or Christian education. This fund supports the St. Paul Cemetery and the Forest United Methodist Church. This fund supports the Forest United Methodist Church. This fund provides scholarships for Clinton County high school graduates, with a preference given for participation in 4-H. This fund supports Clinton County 4-H. This fund supports Camp Cullom. This fund supports charitable, literary, social, religious, or educational purposes as recommended by the advisors of the Fund. This fund supports IU Health Frankfort Hospital Foundation. This fund supports the Mulberry Centennial Park in Mulberry, Indiana. This fund benefits Clinton Central students. This fund benefits the Clinton Central FFA program. This fund supports scholarships for qualified students graduating from Clinton Central High School who will be attending any college, university, junior college, seminary or trade school and need financial assistance. This fund provides support to Abilities Services, Inc. as it provides services to mentally and physically challenged children and adults in Clinton County, Indiana. Grants will be made from the fund to support one or more projects/programs in Clinton County that address increasing educational attainment of residents in Clinton County. This fund supports educational programs and scholarships for members of the Clinton County 4-H. This fund provides support to the Clinton County Humane Society. This fund supports the Clinton County YMCA. This fund supports COACH Kids of Clinton County. This fund supports the Geetingsville Presbyterian Church. This fund supports scholarships for qualified students graduating from Clinton Central High School who will attend any qualifying higher education institution and who are pursuing an education in agriculture or vocation-related field. 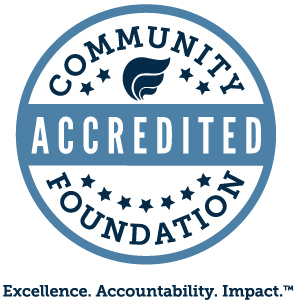 This fund provides scholarships for Lilly Endowment Community Scholarship finalists. This fund supports the Frankfort Education Foundation. This fund supports teachers who are working with "at risk" students at Community Schools of Frankfort for the purchase of educational supplies. This fund supports the First Evangelical Presbyterian Church of Frankfort for the following equally -- pastor's salary, church benevolences and Woman's Missionary Society. This fund provides support to the IU Health Frankfort Hospital Foundation for the continuing education of nurses. This fund provides scholarships to Clinton Central High School graduates who will be attending a public or private university in Indiana. This fund provides support to the operating budget of the Clinton County Community Foundation. This fund supports scholarships for students graduating from any Clinton County high school. This fund supports the ministries of First Christian Church, Frankfort, Indiana. This fund supports the local history and genealogy programs and projects of the Frankfort Community Public Library. This fund supports the acquisition of materials for the Frankfort Community Public Library. This fund provides scholarships for students graduating from Frankfort High School who are continuing their education at the post-secondary level. This fund supports the Frankfort Community Public Library. This fund supports the Friends of the Hills Cemetery. This fund provides support to the Friends of the Frankfort Public Library in administering the Anna and Harlan Hubbard School of Living. This fund supports the Clinton County Boys and Girls Club in assisting boys and girls who are unable to finance yearly memberships, and/or assisting boys and girls who are unable to purchase supplies or equipment which would otherwise prevent participation in the activities of the club. This fund provides support to the Wesley Manor Retirement Community and to the First Christian Church, Frankfort, Indiana. This fund provides support to the Good Samaritan Fund at Wesley Manor. This fund supports the Louise and Robert A. Hedgecock History Essay Scholarship for students graduating from Frankfort High School. This fund provides support to The Way Out Sober Living Home. This fund supports scholarships for students graduating from Clinton Central High School, Clinton Prairie High School or Frankfort High School who will study physics, engineering or mathematics. This fund provides funds to the Trustees of the First Evangelical Presbyterian Church of Frankfort. This fund provides funds to Kirklin Main Street. This fund supports scholarships for Clinton Central High School graduates attending a trade or business school. This fund benefits the Haan Mansion Museum of Indiana Art. This fund supports scholarships for qualified, graduating students residing in Michigan Township or Warren Township, Clinton County, Ind., who will be enrolled in a full-time course of study at an accredited two- or four-year college, university or vocational-technical school. This fund supports the Public School Foundation of the Rossville Consolidated School District. This fund supports First Christian Church. This fund supports Wesley Manor. This fund supports scholarships for graduating seniors from the public high schools located in Clinton County, Ind., who will be attending a public state institution of higher education, or trade or vocational school. This fund provides support to the Rossville Consolidated School District. This fund supports the Mulberry Community Library. This fund supports scholarships for qualified students residing in Mulberry/Madison Township, Clinton County, Ind., who are or will be attending any college, university, junior college, seminary, or trade school. This fund provides scholarships for students seeking a bachelor's or master's degree. This fund supports Witham Memorial Hospital. This fund supports Red Barn Theatre. This fund supports the IU Health Frankfort Hospital Foundation. This fund provides scholarships for Clinton Central High School graduates studying education, engineering or science related fields. This fund supports the Paul Phillippe Resource Center. This fund supports First Christian Church of Michigantown, Indiana. This fund supports Paw Pals of Clinton County. This fund provides support to the Clinton County Contractual Public Library for the benefit of the Rossville Community Library. This fund supports the Public School Foundation of the Rossville Consolidated School District in providing scholarships and teacher grants. This fund supports the ministries of the Rossville Presbyterian Church. This fund provides support to Wesley Manor. This fund supports St. Matthew United Methodist Church. This fund provides scholarships to Clinton Central High School students who participated in multiple sports in their senior year. This fund provides support for the children's theater director position at the Frankfort Community Public Library. This fund provides support to the Indiana University Foundation for the benefit of the English Department of Indiana University-Bloomington, Ind., campus. Robert K. and Eleanor Ryan Fund for the United Way for Clinton County, Inc. This fund supports the United Way for Clinton County, Inc. This fund provides support to the Frankfort Education Foundation for the Robert K. Ryan Scholarship at Frankfort High School. This fund supports the ministries of St. Matthew United Methodist Church. This fund provides scholarships for graduating seniors from Clinton Central High School. This fund provides scholarships for graduates from Clinton Central High School studying agriculture or information technology. This fund supports Riley Memorial Association for the benefit of the James Whitcomb Riley Hospital for Children, Indianapolis, Indiana. This fund supports the Clinton County Civic Theatre and Frankfort Community Public Library. This fund supports the United Way of Clinton County. This fund supports the Clinton County Humane Society. This fund provides scholarships for students graduating from Frankfort Senior High School who are or will be pursuing musical careers at college or professionally. This fund provides scholarships to students graduating from Clinton Central High School who will be attending Purdue University.